After Proposition 64 passed, much of the regulation of both medical marijuana and recreational marijuana sales feel into the hands of several state agencies, including a newly created marijuana agency. However, the cities and local municipalities still get to decide on various issues related to the recreational cannabis industry. This includes regulations that pertain to licensing stores within their respective jurisdictions, whether they should apply a local tax to the sale of marijuana for recreational use, and various other issues. As our Los Angeles recreational marijuana business attorneys can explain, the local municipality will also have the right to decide if on-site consumption will be allowed. This is a big deal, because many people are interested in the coffee shops that have become famous in Amsterdam where you can order marijuana from your budtender and smoke a joint while sitting at the bar. This would obviously be great for marijuana tourism, which is also becoming big business. This will also affect whether restaurants will be able to serve cannabis edibles for consumption on the property. Marijuana edibles have come a long way since the humble days of the pot brownie and are a concern. These days, we have five-star chefs making gourmet meals that use cannabis oils as ingredients. 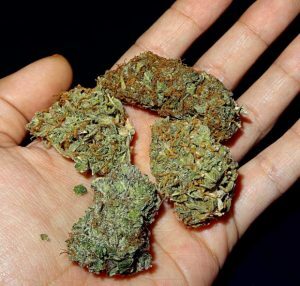 There is an area where the right investors can make a lot of money, but any time you are dealing with prepared food for sale, there are additional requirements from the health department that must be followed in addition to the marijuana related regulations. Another area that the local government has the right to regulate deals with whether home delivery of marijuana will be allowed and whether marijuana can be stored in warehouses in city limits. This is important, because there are a lot of complaints about the smell from warehouses full of marijuana, and there is a risk of crime, as some of these businesses have become targets for robberies. Part of this problem is because the federal government does not allow marijuana business owners to store their money in banks, so many of these businesses will commonly have a lot of cash on hand, and this makes them targets for burglary and robbery. This is due to the fact that, because medical marijuana or recreational marijuana is still illegal on the federal level, any money made from these industries can still be called proceeds of a crime. Any bank that knowingly takes money that is proceeds of a crime can be fined or shut down if FDIC or FCUA insures them, which is pretty much every bank in America.